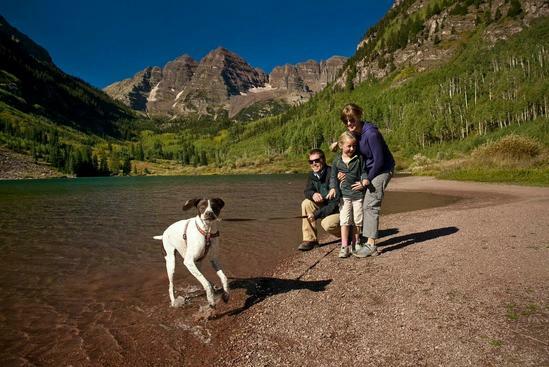 From rustic to luxury accommodations, healthy, local food choices and a plethora of cultural and outdoor activities, Aspen satisfies the vacation dreams of kids and parents. Aspen’s Dancing Fountain, deemed the “world’s first computerized dancing fountain” is located in downtown Aspen across from the Wheeler Opera House. With an infinite number of fountain configurations, the Dancing Fountain operates 24-hours a day spring through fall. John Denver Sanctuary is located along the Roaring Fork River in Rio Grande Park. Large stone sculptures feature the lyrics of the former Aspen resident’s most beloved songs. 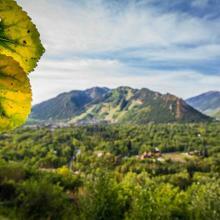 A wonderful spot to enjoy a picnic, a dip in the river or just enjoy the views of Aspen Mountain. 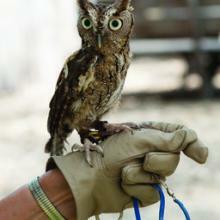 Aspen Center for Environmental Studies (ACES) - Hallam Lake is a beautiful and wild wonderland for kids to explore and learn about the environment and the animals that live in it. ACES offers day-long and week-long summer camps for kids ages four to 18 at their Hallam Lake and Rock Bottom Ranch locations. 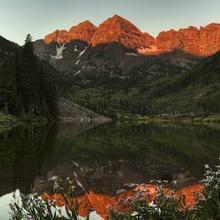 Maroon Bells are a must-see for any visitor to Aspen. The short hike around Maroon Lake is doable by kids of any age, and older kids and teens can hike up to Crater Lake, about two hours roundtrip. The Grottos, located eight miles east of Aspen towards Independence Pass, is a kids’ favorite with rock formations, ice sculptures and more along the banks of the Roaring Fork River. 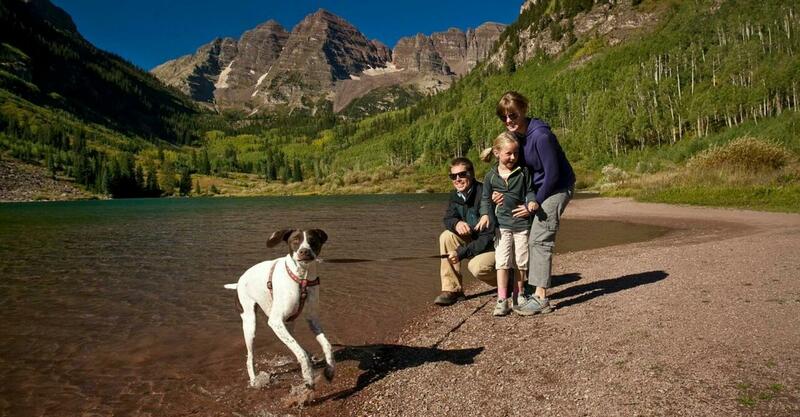 Weller Lake, near the Grottos, is a one-mile roundtrip kid-friendly hike. Ashcroft Ghost Town on Castle Creek is a wonderful spot for kids to explore and imagine when Ashcroft was a lively silver-mining town. 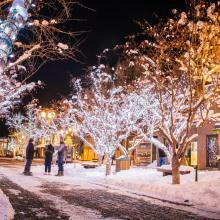 12 Days of Aspen (Dec. 20-31, 2016): During the 12 Days of Aspen, charming downtown Aspen becomes a winter wonderland of holiday cheer. Free ice skating, visits with Santa's reindeer, s'more-making parties, holiday drink specials, and more light up the streets. Great for an afternoon activity or fun après-ski entertainment, 12 Days of Aspen is sure to make your day a little more festive. 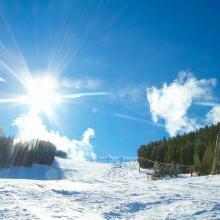 To top it all off, Aspen will ring in 2015 with New Year's Eve fireworks extravaganza over Aspen Mountain, with two displays at 8 p.m. and midnight, so everyone can celebrate in style. 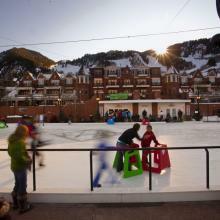 Wintersköl (Jan. 14-17, 2016): Wintersköl™, Aspen’s annual “toast to winter” is a four-day celebration features on and off mountain activities, festivals and free and nearly free events for the whole family. 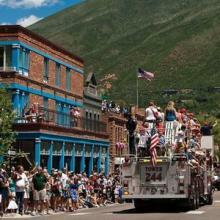 Favorite events include the Fat Cycle Challenge, Soupsköl, a soup-cooking contest judged by the public to determine what local restaurant has the best soup in town; the 27th annual Canine Fashion Show, a competition for Aspen’s four-legged friends gathering in style; and the grand finale with the Torchlight Descent down Aspen Mountain directly followed by the Fireworks Extravaganza above Aspen Mountain. Old Fashioned Fourth of July Parade and festivities (July 4, 2016): A magical afternoon of festivals, floats and free candy! Families can watch the parade or join in as participants in the family bike float or other floats. Following the parade are numerous community picnics followed by an evening Fireworks Spectacular.